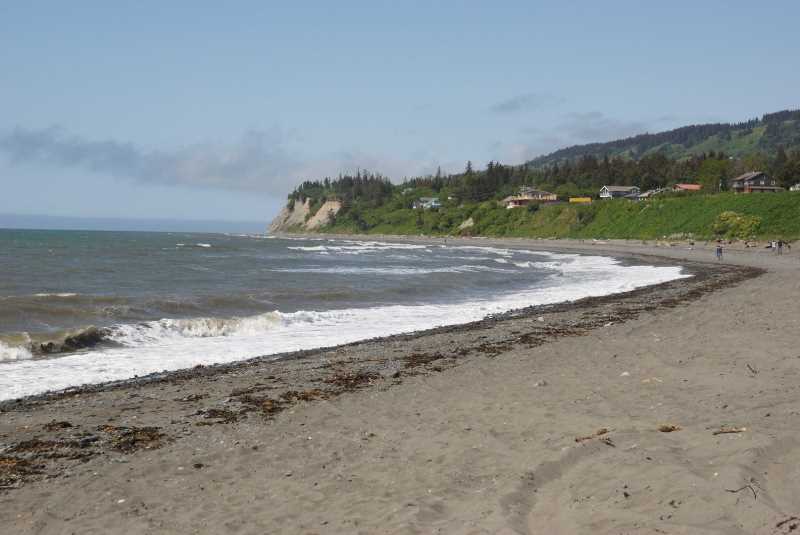 My one big regret on this trip is, I didn’t reserve enough time for exploring and enjoying Homer, Alaska. 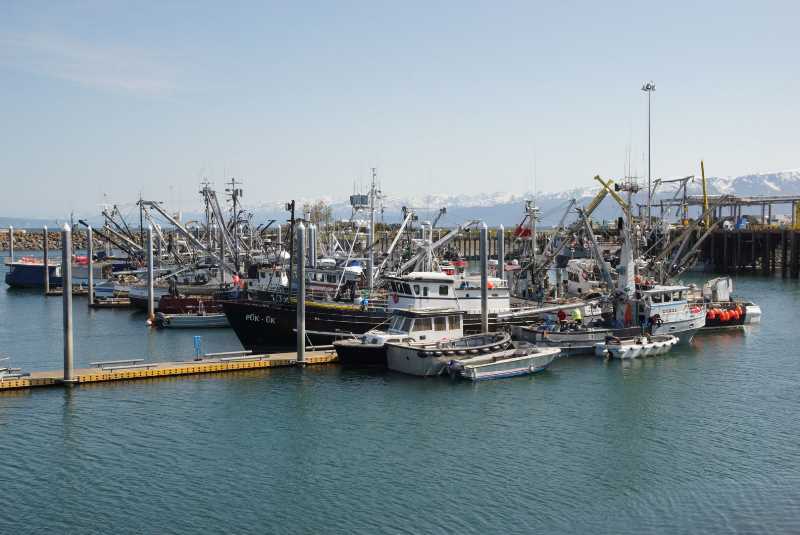 This fishing town has everything you could hope for: water surrounded by mountains, an area thriving with tourism, and a very long waterfront that’s perfect for exploring all day. And if my trip had been one day longer, I would have taken advantage of it all. I was starting my day in Soldotna, 75 miles up the peninsula, and I would end it in Seward — which meant backtracking those 75 miles, then continuing on around to Seward, another 93 miles. In other words, about 250 miles of driving. It didn’t sound like too much, but when you consider all the scenic stops along the way, it left me with little time to see the main attraction on the route. With better planning, I would have spent the night here, and spent an entire evening and morning exploring. But, instead, this is what I did. As you drop down the hill into Homer, you can see where you’re headed. 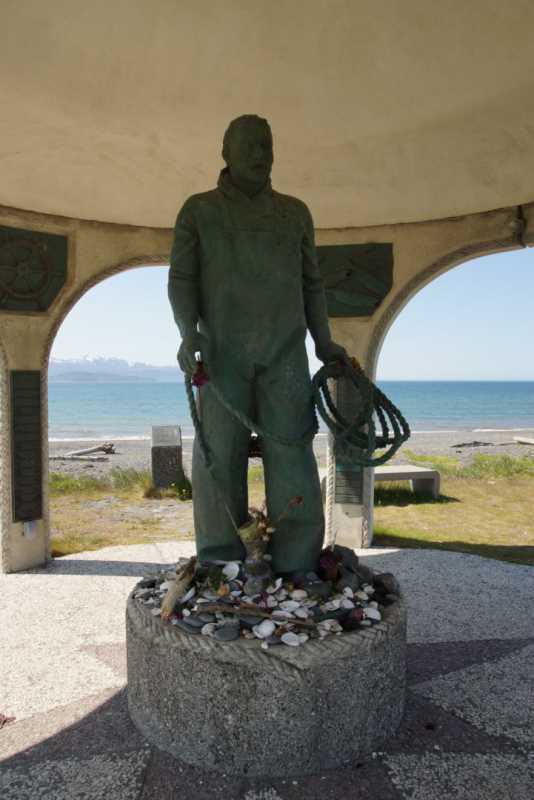 The Homer Spit is the center of tourist-related activities, along with the city’s fishing operations. 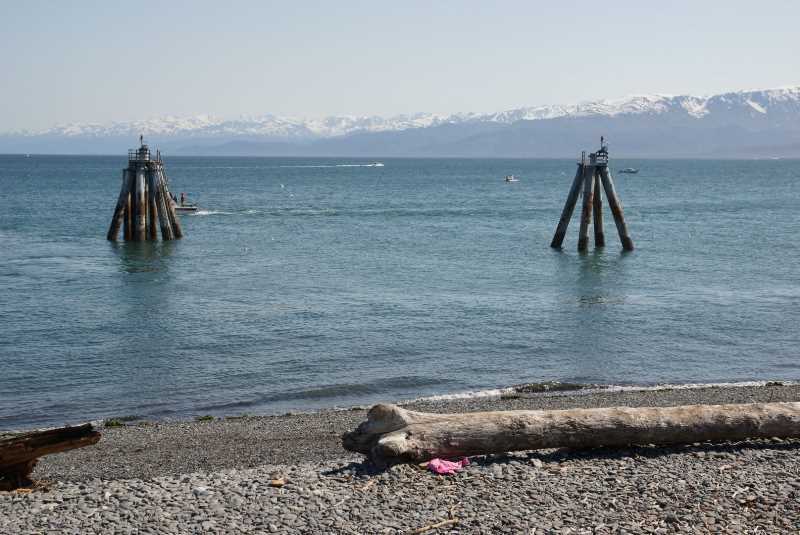 The spit juts out into Kachemak Bay, with more of the Kenai Mountains on the far side of the water. … that lends itself to countless photo opportunities. You’ll see cruise ships and fishing vessels, big and small, heading out to sea. 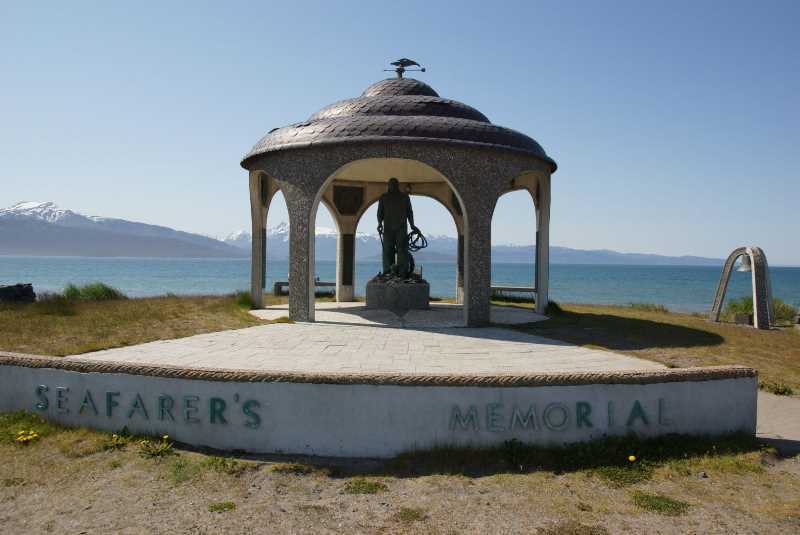 … where dozens of people who have lost their lives at sea are memorialized. The memorial is located next to a good, free, parking area. From there, it’s a short walk over to one of the clusters of shops and restaurants that line the spit. You’ll have no trouble finding a souvenir or some good seafood here, that’s for sure. … as well as businesses that are busy packing seafood for the rest of the world to enjoy. I also heard from other travelers, later in my trip, that the Spit was a great place to spot bald eagles. I didn’t see any, but someone told me he saw about a dozen, all in one place, along the spit. So, keep a look out for them! I drove off the spit and back into town, but before leaving, I found one more area to explore. 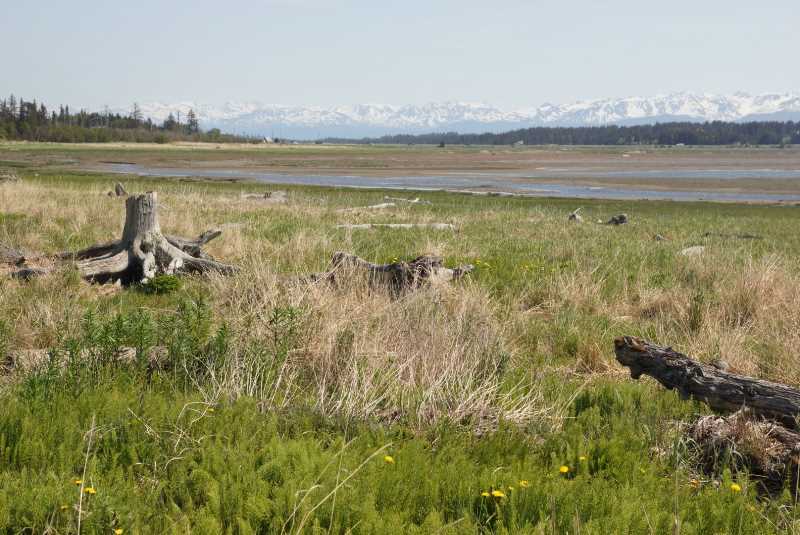 Bishop’s Beach is a gateway to Beluga Slough — a wetland area at the end of Beluga Lake. The lake is on the other side of the highway, but from this spot, you get a nice view of the wetlands, and possibly some wildlife, at the right time of day. Of course, those mountains are in the distance, but you can’t see the spit from here – it’s around the corner just slightly. There is an actual beach here, as well, just in case you want to hang out and enjoy the surf. So, what would I have done, if I had more time? 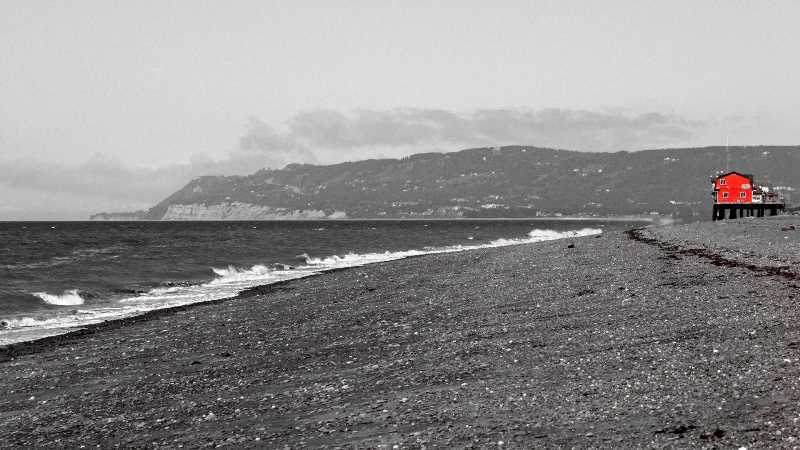 I certainly would have spent more time on the Spit, walking the beaches, taking pictures, and just relaxing. There are probably a few more stores on the Spit that would have been interesting. But, my main goal would have been looking for wildlife (like those bald eagles). 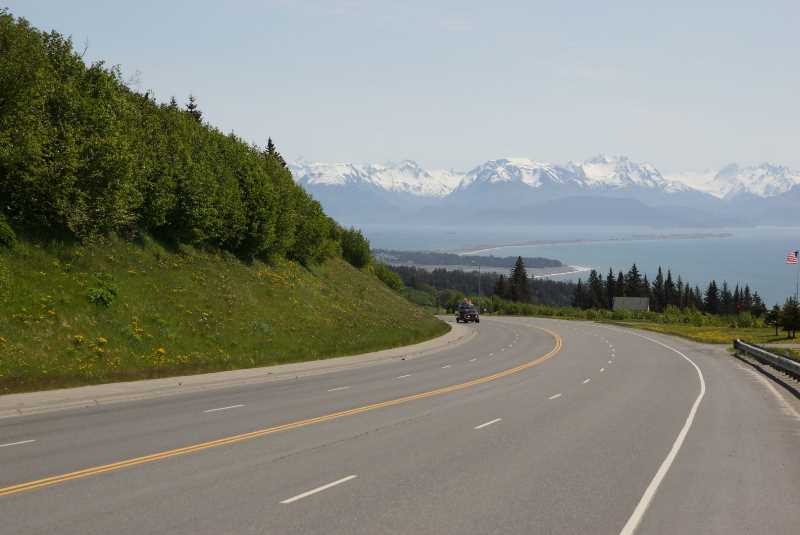 It’s also worth noting that, while Highway 1 ends at the end of the Homer Spit, there are other roads to explore. 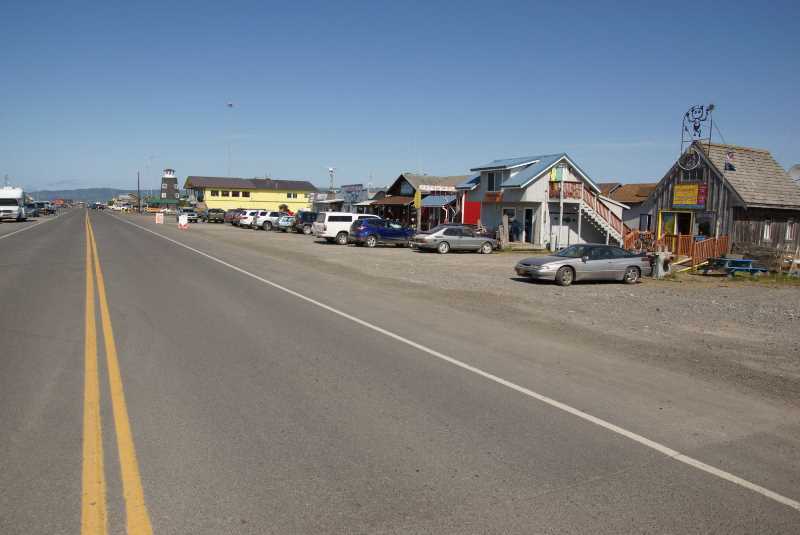 East End Road begins in Homer, and heads up the coast, to the northeast, to the end of Kachemak Bay at Fox River. I don’t know if there’s anything worth seeing up there (Google’s Streetview images suggest that this road is nothing more than a muddy path along the beach at one point). 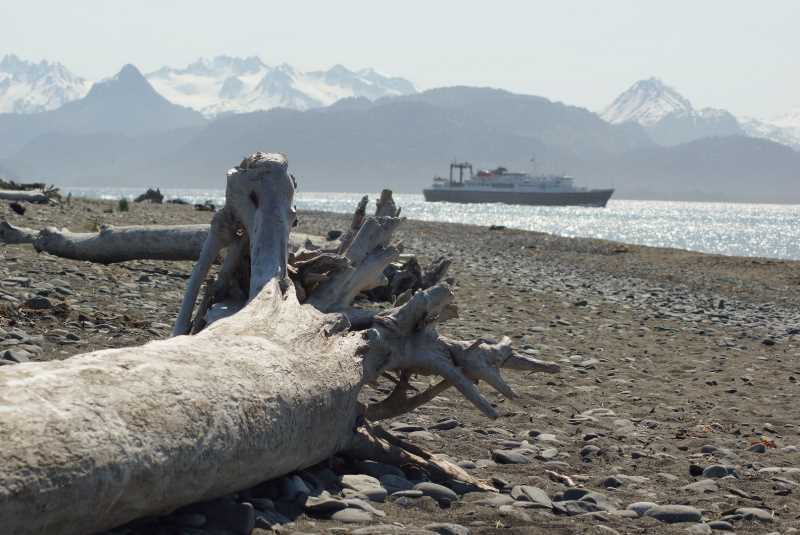 And, with some extra time, I could have caught a ferry from the Homer Spit over to Seldovia. 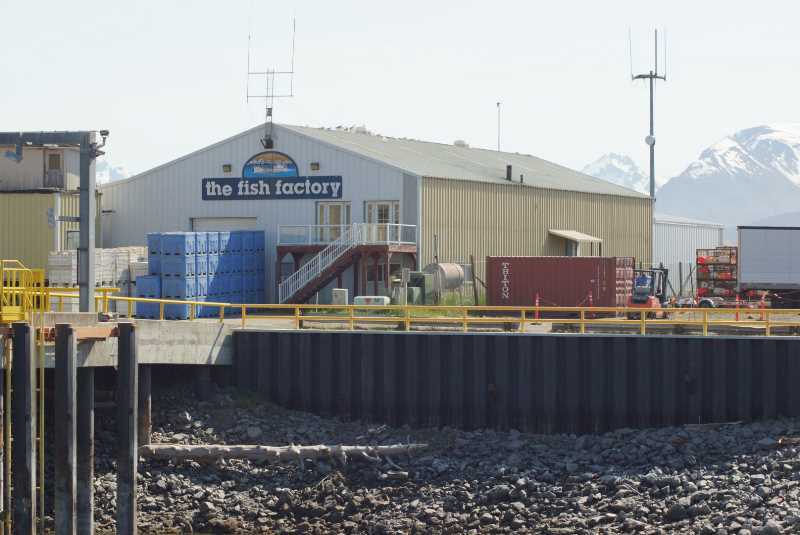 This fishing village, on the other side of Kachemak Bay, also appeals to tourists — although there are no roads to take you there. Seldovia has at least one motel and several AirBnB rooms, so it might be nice to ferry over, spend the night, and return to Homer the next day. You can check for rooms in both towns using the yellow Booking.com search box on this page. Visit Homer, and don’t shortchange it on time. There’s plenty to see here, and you’ve driven a long way to get here. Enjoy the town, the Spit, and explore the outlying areas.